Coconut oil has been hailed as a super powerful food derivative. From beauty hacks to promote a better health, its benefits are well-known by now. But whether because you’re allergic to it or because you fear the contradicting reports regarding its safety, it’s always good to know possible substitutes for coconut oil. Coconut oil is a do-it-all. It has several applications and it can be used either to improve one’s health or beauty. When it comes to substituting it, there isn’t a single direct replacement. Depending on the goal, different oils can approach coconut oil better than others. According to a 2018 study, sunflower seed oil helps to maintain the integrity of the skin while promoting its hydration without causing irritations due to its high content in oleic and linoleic acids. Furthermore, these acids have also enhanced the reparation of the skin barrier. This effect has even proven safe for babies, with this oil working as a substitute for baby lotions too, according to a 2017 research. There are also some indications that sunflower seed oil can help to prevent skin cancer, but more research is still required in this field. Unfortunately, this is one of the least studied substitutes for coconut oil. The current research is based on animal trials but, even then, it shows great promise. In a 2016 study, researchers confirmed its richness in antioxidants that could potentially help the prevent the early signs of skin aging with this components fighting the free radicals that damage healthy cells and increase their turnover. According to the same 2018 review previously mentioned, almond oil has emollient and sclerosant properties that help to achieve a more uniform skin tone. A 2010 study also indicated that this oil has anti-inflammatory properties and supports a stronger immune system. It has also been widely used in Ancient Chinese Medicine and Ayurveda to treat dry skin problems, such as psoriasis and eczema. Although the intake of almond oil and its benefits have been extensively studied already, its skin applications still require further research to ascertain its efficiency. Nevertheless, the few done to date present good indications. Hempseed oil is also marketed sometimes as CBD or cannabis oil, although cannabis refers to the general plants family to which hemp belongs. Don’t let the name spook you because hemp is completely safe to use, and doesn’t have the components that made its other family members famous. Due to its high content in linolenic acid, it penetrates easily in the skin, making it one of the best oils for deep moisturization, according to a 2002 study. Although more studies are required to confirm their effect on the skin, due to its properties, it is supposed to help to shrink the pores, improve the skin’s elasticity and protect it against the damage caused by UV rays. One 2005 randomized trial has also shown that this oil could potentially be used to treat atopic dermatitis, as it reduced the dryness and itchiness of the skin, while the need for medication was diminished. The same substitutes for coconut oil used for skin care can also be applied to the hair to nourish it and leave it softer and with a fuller look. However, the following oils present better results in this field in specific. To date, the effects of avocado oil on the hair have yet to be studied and confirmed by science. However, there are more than enough anecdotes that confirm that its high content of antioxidants, fats and mineral nourish the hair strands, reducing the frizz effect and leaving the hair softer and shinier. Due to its anti-inflammatory properties, it also supports a healthier scalp which has granted it the reputation of promoting hair growth. As with avocado oil, there aren’t any extensive studies to date confirming the effect of almond oil on hair. Nevertheless, this oil was already used in Ancient Egypt for its properties that supposedly help with hair growth. In reality, almond oil is rich in vitamins A, E, B and D as well as in antioxidants and fats, which may not support hair growth, but it will certainly leave your strands softer and stronger and thus less susceptible to breakage. 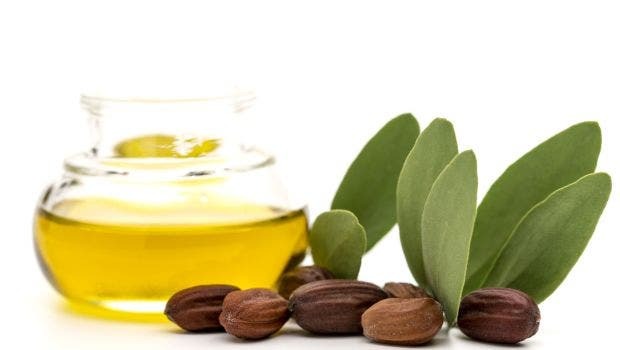 Jojoba oil is increasingly becoming a common ingredient in hair care products due to its nourish properties but also because it is a microemulsion that carries active ingredients deeply into the hair. Since it’s rich in Vitamins C, B and E, fats and copper and zinc, it nourishes the hair leaving it stronger, softer, and less prone to dryness and split ends. It also has anti-inflammatory properties that support a healthier scalp and helps to treat dandruff. Despite having a reputation for supporting hair growth, it did not perform well in the studies conducted so far. Cooking implies warming the oils to high temperatures, which can destroy their properties and actually turn them harmful even when they are perfectly healthy options to ingest cold. Therefore, when it comes to choosing a healthy cooking oil you shouldn’t look so much to the properties and nutrients of each one but rather how it fends when facing temperature changes. Sunflower seed oil is rich in vitamins A, E and D, antioxidants and fatty acids which support the body’s well-being. It can aid in preventing cardiovascular problems, lower the cholesterol and levels and even producing an energy increment. It is also one of the best substitutes for coconut oil because they are very similar when it comes to cooking. A 2016 randomized study compared the two and concluded that their equal intake for a period of 2 years did not reveal any significant difference between the two. 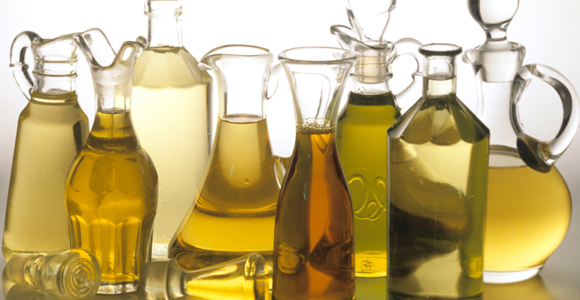 Extra virgin olive oil is the best variety of this oil because it’s the purest form and the most nutrient rich. It is not only one of the best substitutes for coconut oil, when it comes to cooking it is actually considered the healthiest oil. Since it is rich in polyunsaturated and monosaturated fats, the so-called “good fats”, it helps to reduce the cholesterol levels and to prevent the risk of cardiovascular disease, even within the risk group, according to a 2014 study. It also performs well when exposed to heat and keeps most of its properties intact, according to a 2013 comparison with other vegetable oils. Hempseed oil has all the essential amino acids the body cannot produce naturally, and is particularly reach in that of arginine which plays a big role in the cardiovascular well-being. According to a 2010 study, this oil is also rich in omega 3 and omega 6 fatty acids in the proportion that is considered ideal for a healthy diet. The researchers also mention its anti-inflammatory potential, albeit admitting that more studies are required in that field. In the video below you can learn a bit more about the different cooking oils you can use to replace coconut oil. You can also get to know how they react to temperature changes and why you should consider choosing different oils for different cookings.